Geodesign thought leaders share how we got here, where we are today, and where the technology might take us. The 12 articles in this e-book show how geodesign is fundamentally transforming the way we think about the world. This paper introduces the concept of geodesign and encourages the reader to play an active role in the development and expansion of this nascent field. Steinitz's framework for geodesign is intended to help the collaborating participants to achieve, in the words of the author, "practical benefits from geodesign." This book presents several case studies that exemplify key steps, processes, and technologies crucial to the advancement of geodesign. Written for those responsible for the form and condition of the built environment—regulators, policy makers, facility designers, owners, and managers—this e-book is a guide for achieving stewardship, sustainability, and savings for the built environment. This e-book presents articles about GIS-based facilities management in schools and universities in areas including planning, portfolio management, operations, maintenance, security, compliance, and sustainability. Geodesign integrates geographic science with design, resulting in a systematic methodology for geographic planning and decision making. 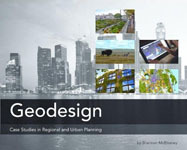 The articles in this book discuss how geodesign brings geographic analysis into any design process, resulting in designs that more closely follow natural systems. In this white paper from the IFMA, Stu Rich and Kevin H. Davis detail how GIS can be used by facility managers for space management, visualization and planning, and emergency and disaster planning and response, as well as many other applications.